ATLAS.ti users from more than twenty countries and four continents recently gathered at the Technical University of Berlin for three days of intensive discussions about methodology, technology, practical applications, and theoretical considerations centered around qualitative data analysis with ATLAS.ti. In a friendly, relaxed, and yet highly productive atmosphere a great many new insights were gained by all. It was a great pleasure meeting users, consultants, trainers, experts, students and researchers from a wide variety of fields at the Berlin conference. We were all most impressed to learn how you put ATLAS.ti to good use, and hope you will continue to do so. We invite all attendees—as well as all users everywhere—to stay in touch. Feel free to let us know if you become aware of a need for training events, if you plan such or similar activities, and/or if you perceive an increase in qualitative research in your field of work. Our dedicated team is always ready to assist. A major Thank You goes to Susanne Friese, noted expert and conference chair, for putting this remarkable event together. And thank all of you for coming to Berlin and helping to make the first user conference a great success and a wonderful experience for all! To all of you who came and all of those who could not make it: We can promise you that it will not have been the last time. Hopefully we can meet even more of you at the next user conference. 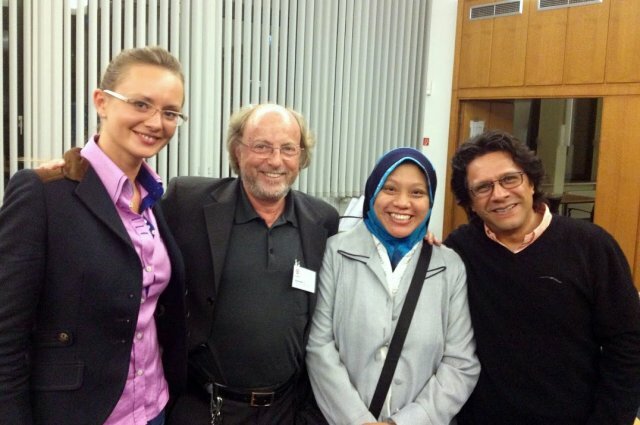 I would like to take the opportunity to say “Thank You” for coming to Berlin to attend the ATLAS.ti conference. Thank you for your engagement, your insightful discussions, your willingness to share your experiences, and of course for your smiles, good mood and humor. As this was our first conference, we felt a bit like the movie Field of Dreams –“If you build it, they will come...” Well, you came and made it the wonderful event that it was! Special thanks goes to the session chairs (Ricardo Contreras, Ani Munirah, César Cisneros, Jeanine Evers, Christina Silver, and Sarah Matthews), and the student assistants who helped out behind the scenes: Fabian, for doing everything that was needed at the moment, and Lisa and Tilman for recording all the sessions and capturing moments of the event on film. We would also like to express our gratitude to the Center of Technology and Society of the Technical University, Berlin, for their collaboration and for providing an ideal venue for the event. Our special thanks go to Luidger Dienel, the former director of the center, with whom the planning started; Martina Schäfer, the current director, for her continuing support; and to Mrs. Naydowski and Mrs. Adams for their secretarial support. At the conference, lots of professional as well as personal friendships were established. Previously, many of you only knew each other in the virtual world. The conference gave you a chance to meet each other and us in person, which was great. Once the recorded presentations, film clips and the electronic conference proceedings are ready, we hope they will serve as a virtual platform for a continued exchange of ideas. This will also allow all those who could not attend to join in. To give you an idea about the broad range of topics that were presented and discussed at the conference, here is a summary: We learned about a variety of ways in which ATLAS.ti is used in different types of research and fields of study, and about the various analysis methodologies that can be applied. In this key note speech, Nick Woolf offered us food for thought by proposing an interesting analogy regarding analytic strategies vs. tactics. A number of presentations focused on the analysis of visual data; others presented innovative ways of using various features of ATLAS.ti. Roundtables gave room for discussing some issues in depth. The posters provided a stimulating backdrop in the foyer where coffee, tea and good food provided further opportunities to meet and chat. The final day of the conference was devoted to the topic of teaching: How to combine teaching software and methodology, how to master cultural and political challenges in teaching, and how to learn through teaching. 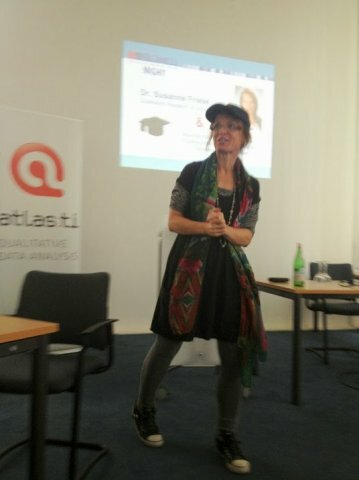 In the final session, Susanne Friese, author of the seminal book “Qualitative Research with ATLAS.ti,” provided valuable tips on how to develop successful training units based on her many years of experience. If you were inspired by these sessions, or generally have an interest in teaching ATLAS.ti in the classroom, please get in touch with us. We are happy to support you with materials, discount coupons, and a personal license at a reduced price. The address to contact is: [email protected]. For all who did not have the chance to be there, the recorded sessions and full papers will soon be available online. Further information will be posted in the newsroom and on facebook. General consent was: Let’s plan for another conference. With a showing of colored ribbons representing different continents at the start of the event, it was quickly apparent: ATLAS.ti gets around. Participants at the 1st ATLAS.ti User Conference hailed from all corners of the globe: Africa, Asia, Europe, and the Americas, with the largest group from European countries, including Denmark, Spain, Sweden, the UK and the Netherlands. 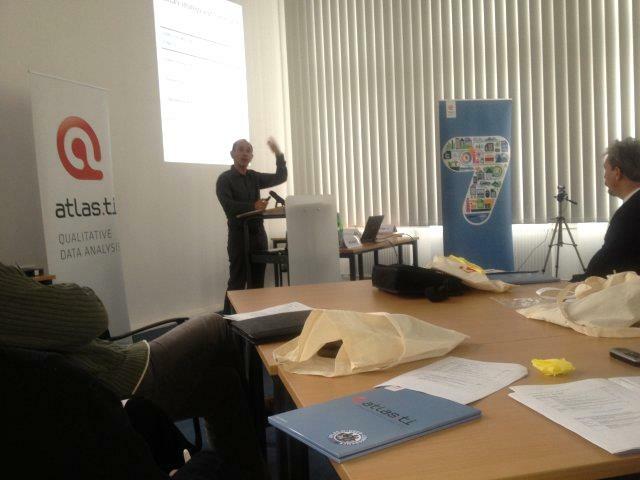 The gathering in Berlin, Germany, also brought together a wide range of academic and institutional backgrounds and skill sets: members of the original ATLAS project, novice and experienced users and instructors, CAQDAS experts, and ATLAS.ti developers. ATLAS.ti veterans mingled with newcomers, attendees considering the software for upcoming projects or Ph.D. candidates from diverse fields such as law, medical research or spatial planning who found innovative ways to integrate ATLAS.ti in their work. Martina Schäfer of the hosting Center for Technology and Society greeted the conference participants. After a welcome by conference chair Susanne Friese, Heiner Legewie took the floor to describe the early stages of ATLAS.ti, praising the polished product that resulted from a university research project and the collaboration of social and computer scientists. Heiner characterized ATLAS.ti as a continuing journey towards an ideal of perfection and solid aesthetics, in addition to the program’s functional performance. Thomas Muhr also provided a glance back at noteworthy events and reiterated the basic principles which have guided development from the very start. Conceptually, he emphasized that ATLAS.ti does contain hierarchical elements in terms of its objects, but not necessarily in its workflow design. Thomas also gave the audience a preview of what lies ahead, including a native Mac version. To get the ball rolling, Nick Woolf gave his keynote on "working powerfully" with QDA software, i.e. using computer-based tools from the start to finish of a project while remaining completely true to the iterative, emergent nature of qualitative data analysis. Nick outlined a number of pitfalls he has observed in his consulting work, from non-use to use that is limited to the initial project stages and, finally, suppressing the emergent ethos of QDA. These pitfalls can prevent researchers from getting the most out of their QDA tool. Ultimately, researchers must be aware of how the elements and style of their chosen methodology can mesh with available tools. Expanding on the military metaphor of strategy and tactics, Nick’s speech spurred a lively debate that extended well into the evening. It was the perfect start to three days of in-depth dialog. The conference continued in smaller sessions. This targeted format included research presentations, workshops, and roundtables on various topics. One project highlight included Michael Kolocek’s presentation on how various nation states characterize and approach the issues of inadequate housing and homelessness. Michael conducted a global discourse analysis with predefined keywords to analyze various official documents using the auto-coding function in ATLAS.ti. By exporting data generated in ATLAS.ti to ArcGIS, Michael was able to generate diffusion maps with strong visuals of the discourse on homelessness worldwide. The conference roundtables offered a forum for collaboration and feedback. Agnes Mühlmeyer-Mentzel presented her proposal for a taxonomy of relations that would potentially allow researchers to share code networks. Pre-defined relations, she argued, could offer an efficient, easily intelligible standard and the potential to merge findings. Roundtable participants were intrigued by the proposal, debated its merits, and brainstormed how different sets of relations could reflect various research methodologies in ATLAS.ti. A number of important topics emerged in the course of the event. Some central themes could be identified as “community”, “new formats”, “teaching” and “methods”, which are outlined below. As the Director of Training and Partnership Development, Ricardo Contreras is hard at work behind the scenes at ATLAS.ti developing innovative approaches to foster community among ATLAS.ti researchers and instructors. One exciting component of the ATLAS.ti Learning System is the “Community of Practice.” Researchers can present their work in a one-hour webinar format, talk about their experience using ATLAS.ti and get feedback from their peers. These webinars take place once a month and are conceived as an open forum. Along with this worldwide peer network, Ricardo is working to develop and certify a community of ATLAS.ti trainers. As an example of regional community, dedicated ATLAS.ti trainer Ani Munirah informed conference goers about the growing number of ATLAS.ti users in Malaysia. 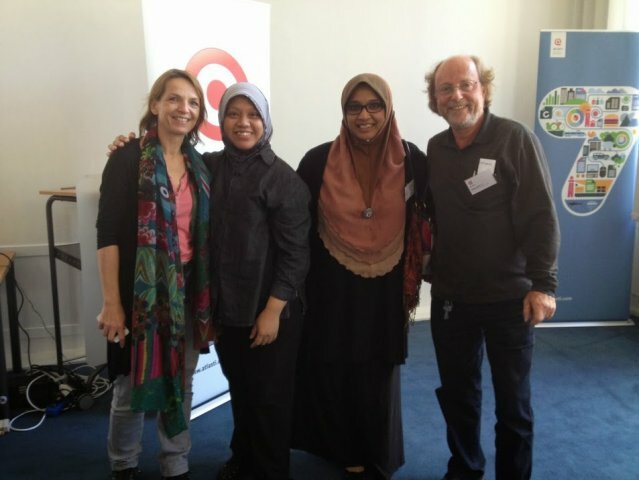 Several workshops are organized by the Malaysian Postgraduate Workshop Series (MPWS) and are held in Kuala Lumpur as well as in other cities throughout the country. ATLAS.ti developers have pared down their software to its essentials for researchers on the go. Conference attendees got a first-hand look at the new, ultra-portable version of ATLAS.ti, demonstrated by Susanne Friese. With a number of iPads in the audience, workshop participants could follow along and load their own data into a sample project. From there, Susanne demonstrated how to create quotations and assign codes in various different file formats (text, audio, video, image and PDF). Friedrich Markgraf, lead developer for ATLAS.ti Mobile, sat in on the session and welcomed feedback—working together, the audience even developed new ideas for the margin area, which are sure to be implemented soon! Strategy-wise, the app supports the data collection and reduction phases, i.e. HU creation and coding with the same basic functionality as the desktop version. Researchers can record interviews with their iPad, type up field notes while they’re fresh, bundle these and other relevant documents into a hermeneutic unit, and begin selecting and tagging relevant data segments. Full PDF compatibility is one of the features that sets the app apart from competitors. Want to start coding a newspaper or relevant literature while on the train? ATLAS.ti Mobile lets you get to work right away, wherever you are. And if all that weren’t enough: ATLAS.ti Mobile is free of charge and includes a manual and full support. As always, the developers welcome your feedback and even reward users' reviews with a 15% discount on program licenses until the end of this year. Participants were more than taken with the sleek graphics and lean, intuitive design of the new app. In short: once you see it, you’ll want to use it. The manifest objective of the conference was to “foster dialog on qualitative methods”. University professors and instructors shared their take on the challenges of using ATLAS.ti for different approaches, i.e. for “top-down” and “bottom-up” project designs. Based on research contributions and project descriptions, it quickly became apparent that researchers are using ATLAS.ti to tackle both types of challenges. From coding relatively standardized documents using a pre-existing code scheme to more emergent processes which involved extensive memo-ing at the outset—before a single code is assigned—the research examples ran the entire gamut. In his keynote, Nick Woolf encouraged researchers to consider overarching questions such as which parts of their methodology require a strict, structured approach and which elements might be less structured, e.g. in content analysis. Trena Paulus tested ATLAS.ti’s suitability for approaches other than grounded theory and concluded that the software doesn’t present any inherent restrictions that would exclude its use by discourse analysts. Both of these researchers have upcoming publications, by the way, which are already on our reading list! Several ATLAS.ti veterans, including Ricardo Contreras and Jeanine Evers, gave practical workshops on their teaching experiences and special considerations for integrating ATLAS.ti in the classroom as well as teaching across cultures. Trena Paulus and Gerben Moerman also spoke about crucial considerations such as reviewing student HUs and tactics for getting students to concentrate on the material, and not primarily the software. A number of participants attended a dedicated train-the-trainer session, in which Susanne Friese spoke about her substantial experience teaching ATLAS.ti . Susanne went through a typical training course for beginners and expounded on practical and methodological considerations. Along with an impressive amount of tech-savvy, the participants also brought to the table a strong awareness of future challenges—both for researchers and their tools—associated with social media and cloud computing. New functions are to involve ethical considerations, such as confidentiality and data security. These concerns, together with several new impulses, could be discussed throughout the conference in direct interaction with ATLAS.ti developers. Trena Paulus, University of Tennessee, praised the high level of dialog, as did other attendees over the entire course of the event. Many attendees, even long-time ATLAS.ti users, were impressed by the active and dedicated community that has evolved around this QDA tool. Finally, the conference wrapped up with a brainstorming session. Working in different groups, participants compiled lessons learned in regards to applications and functions, teaching and methods, and even future gatherings. Excellent ideas were proposed for upcoming user conferences—the verdict: it’s not a question of if, but when and where! The ATLAS.ti conference was held in the former Chamber of Industry and Commerce (IHK) building, designed by Franz Heinrich Sobotka and Gustav Müller and constructed in the early 1950s. Sobotka and Müller were among the most influential architects in West Berlin after the Second World War, leaving their mark in the German capital with constructions such as the Henry Ford Building in Dahlem or the imposing facilities of media conglomerate Axel-Springer in the center of the city. Their work often emphasized light and transparency, as well as creating a “good fit” with existing architectural ensembles. 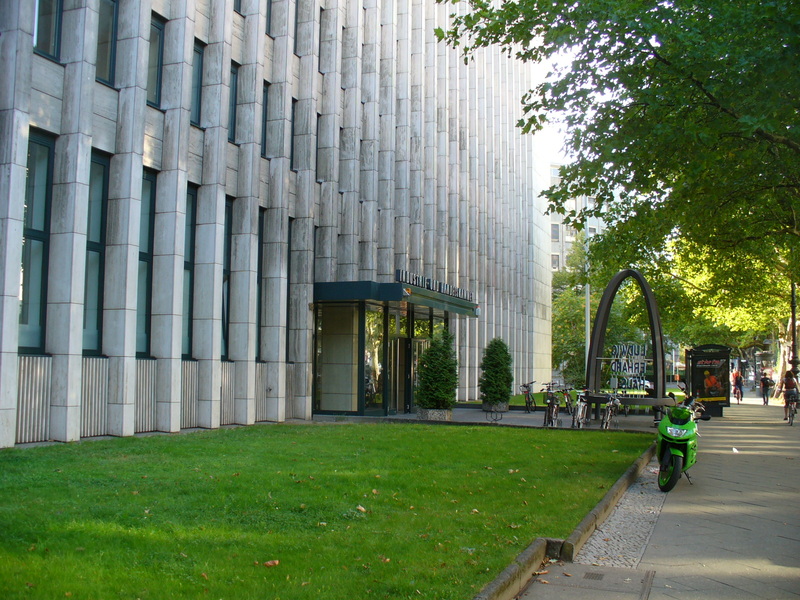 Today, the building is home to the Center for Technology and Society (CTS), a notable interdisciplinary research institute affiliated with the Technical University, Berlin (TU Berlin), which graciously provided its facilities for the conference. ATLAS.ti has remained true to its roots: From its inception at the TU Berlin in Charlottenburg and further development in the same district, the company headquarters today are located only two blocks away, still in the heart of Berlin's "City West." These 400-second presentations also offer a lot of humorous potential. Susanne Friese opened the session by introducing the format. She then presented her analysis of "what makes a winner" in Pecha Kucha--bundled in an ATLAS.ti project, of course. Ani Munirah followed up with an inspiring résumé of her work in popularizing ATLAS.ti in Malaysia. Additional, informative and witty talks followed; the list of presenters was veritable Who’s Who for the ATLAS.ti community. After an impromptu Pecha Kucha presentation by ATLAST.ti creator Thomas Muhr to wrap up the session, the audience voted on the winner. While all the presenters added their own flair to this truly challenging format, Gerben Moerman, faculty member at the University of Amsterdam, was the clear standout. His presentation addressed the purported homogenization of qualitative analysis through software, an issue that was addressed in different variants throughout the conference. In a deft combination of scholarly inquiry and physical comedy, Gerben kept the audience members at the edge of their seats. We hope that he brands this technique and would like to see it spread to classrooms everywhere. Susanne Friese’s presentation analyzed what goes into a good Pecha Kucha talk, in 20 slides! 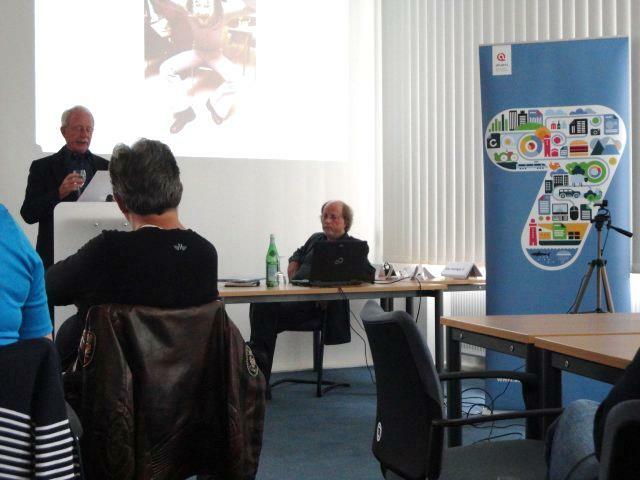 "To me, the first ATLAS.ti international user conference was a great success. As expected I learned about advanced options and techniques to help me streamline my use of the program, and the variety of analyses presented by scholars from different disciplines all over the world was inspiring. However, it was an unexpected pleasure to have personal contact with the developers and programmers of the program, people who were never visible but have enriched my research experience so greatly, and now had their ears wide open to hear what other features I would like them to add to the program." "Meeting fellow delegates at the conference was a spectacular experience for me. I admired every single minute of every session. Not only we exchanged ideas and experience on how to use and teach ATLAS.ti, the experts and developers also made themselves available during the sessions to address our queries and to take into account our suggestions and recommendations. Kudos to the conference chair and her entire team members." "For me the conference on ATLAS.ti was an eye-opener concerning how we can use the tool in the research team I am part of. My field is linguistic ethnography and I have specialized in longitudinal studies involving numerous data types such as recordings, field diaries, social media interaction, etc. The many conference papers on projects viewed through a methodical lens are going to be a huge inspiration on how I structure my own work in the future." "All participants I talked to agreed with me that the ATLAS.ti conference was a success for many reasons: I met many interesting people and joined lots of inspiring presentations and round tables. People came together who, on the one hand, have a variety of research topics and academic backgrounds and, on the one hand, use ATLAS.ti in different ways. Nevertheless, our methodological challenges are often very similar. I am grateful to many participants because I have learned so much I will benefit from in my own research". "I was very glad to be able to participate in the Conference and also had an opportunity to meet the inventor and other user scholars. It was such a valuable experience. I believe that the knowledge gained from this conference can be disseminated to other academics in Thailand." "What began like a far-fetched dream became a reality when i was accorded a chance to meet face to face with the ATLAS.ti software designers. On the other hand is was inspiring to meet the people who for the love of qualitative research were in attendance at this conference. I can safely say I have been ordained in the use of the software because it is not just the using without knowing who and what is behind it. The journey in the use of ATLAS.ti in my way of analyzing data has just begun." "I was very pleased to discover that ATLAS.ti can easily fit into the departments software stack as an important complement to our otherwise mostly quantitative studies. Particularly the Project Management scope of the software and the possibility for research groups to work together on the same data was promising." "The results of the research 'New Technologies and Workloads of Health Care Professionals' were presented by Dr. Denise Pires, professor at the Federal University of Santa Catarina, Brazil. The paper was prepared by Dr. Denise Pires, Dr. Eliane Matos, Dr. Eliana Pinho de Azambuja, Dr. Letícia Trindade and Dr. Magda Scherer. It was a multiple case study performed in two countries with the purpose to identify the influence of technological innovation on the workloads of health care professionals. The resources of the ATLAS.ti software were used for data analysis and it was an important tool helping to get a better understanding of a complex set of data." 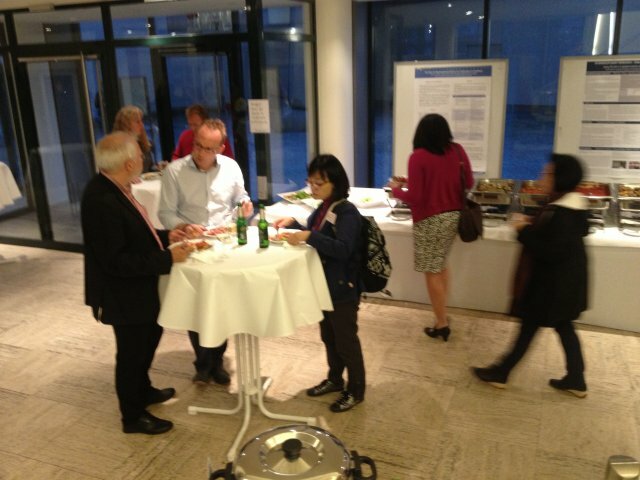 "I really enjoyed the ATLAS.ti conference in Berlin. It was great to meet so many ATLAS.ti users and creators in real live and discuss research methods and tools. Beforehand I was afraid to join in a sect of believers, with all of us agreeing on everything. It turned out that the conference was very diverse. We had fierce discussions and I saw people using the software in ways I never thought of. The ATLAS.ti conference was so inspiring, that I hope to be at the next one as well." Now that we are back from the Berlin user conference, where we had the opportunity to meet some of the people who are doing great work with ATLAS.ti, let me share with all of you our calendar of training events scheduled for fall 2013. The full calendar, including courses scheduled for 2014, can be accessed at www.training.atlasti.com. For any questions, feel free to write to me at [email protected]. You may also reach me by phone at 1-541-286-4391 (United States Pacific Timezone). These topic-centered webinars focus on specific functions and applications of ATLAS.ti. A basic knowledge of the program is beneficial in order to get the most of these webinars. The ATLAS.ti Community of Practice is a space for peer learning. Researchers share strategies and best practices about the integration of ATLAS.ti into their data analysis projects. Thursday October 3, 12:00pm-1:00pm EST - Dr. Trena Paulus. Associate Professor, Instructional Technology. University of Tennessee Knoxville. Title of presentation: Using ATLAS.ti for Discourse Analysis of Online Interactional Data. Thursday October 10, 12:00pm-1:00pm EST - Cynthia Meerson Schmidt, doctoranda en el School of Applied Social Sciences, Durham University, UK. Titulo de ponencia: ReIntroducción de resultados en el proceso de investigación. Thursday October 31, 12:00pm-1:00pm EST - Dr. Ricardo B. Contreras. Research adjunct professor, Anthropology, East Carolina University. Title of presentation: Analysis of photo-voice data with ATLAS.ti: a study on the value of labor and managed migration. Monday November 18, 11:00am-12:00pm EST - Dr. Ada Martinez. Postdoctorante EGADE Business School, Tecnológico de Monterrey. Titulo de ponencia: Construcción de la legitimidad: estudio de caso dos organismo acreditadores. Análisis basado en la teoría emergente y como herramienta de apoyo el uso del ATLAS.ti. The Qualitative Methods Master Class Webinar Series is a program jointly sponsored by ATLAS.ti and the International Institute for Qualitative Methodology. Researchers present their reflections, insights, and experiences employing qualitative methods in the social sciences, humanities, and health sciences. Tuesday October 10, 3:00pm-4:00pm EST - Dr. Carl May. Professor of Healthcare Innovation in the Faculty of Health Sciences, University of Southampton, England. Title of presentation: “Theorizing the embedding of practice: ethnographic interpretation and qualitative meta-synthesis in the application of Normalization Process Theory”. Thursday November 14, 3:00pm-4:00pm EST - Dr. Michael Agar. Ethknoworks, LLC. Title of presentation: “The Epistemology of What We Do and How to Explain it to Funders, Clients and Your Relatives”.